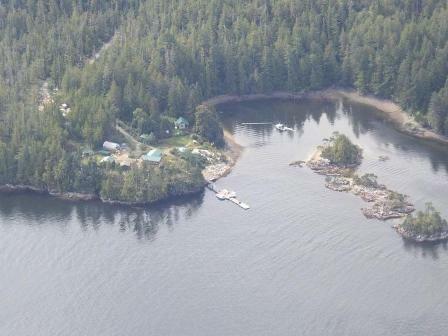 Flynn’s Cove is a small private wilderness resort with four vacation cabins for rent on the North West corner of Nootka Island. Located with Esperanza Inlet to the north, Nootka Sound to the south and sitting west of Vancouver Island, BC, Canada, Nootka Island is a perfect example of the scenic beauty of the Pacific Northwest Rainforest. Each of our self catered vacation cabins have full ocean views. Our 112 acres boasts of scenic views, wilderness hiking trails, wildlife and even a 2km lake! 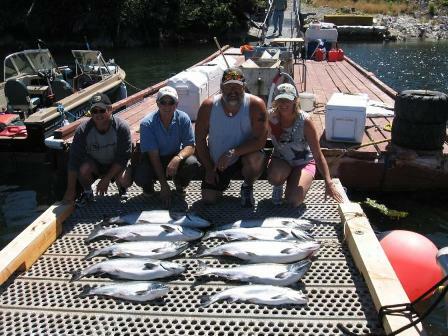 BC Sport Fishing is right at our doorstep and the ‘best fishing spots’ are only minutes away from our 120' dock. Fish for salmon, halibut, cod or whatever your favourite meal is! Sea kayaking on your own, with a group of kayakers or on a guided kayaking tour is made easy and comfortable using our rental cabins as your base. 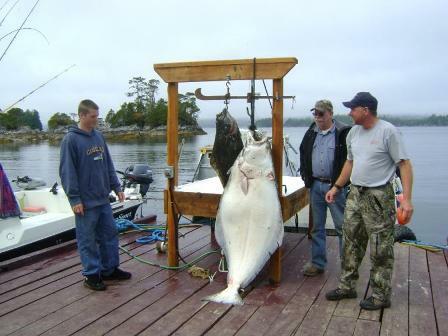 Fish for salmon, halibut or cod! Explore the nearby coves and islands! 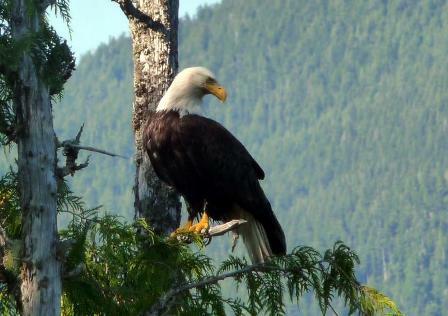 Take a sightseeing boat tour of Nootka Island, Esperanza Inlet or Nuchatlitz. And then come home to comfortable accomodations, a hot shower, a woodstove and the comfort of a bed in your own cabin at Flynn's Cove. Flynn's Cove is open all year. This makes us a perfect destination for a wilderness adventure escape, a secluded family reunion, a group get away, a corporate working retreat or even a spiritual retreat. We also offer full service crew accommodation. Cedar 1 sits on a bluff about 50' above the ocean. The 200° view overlooking Esperanza Inlet and Center Island is amazing no matter what the weather! There are four bedrooms, two bathrooms, the living room/dining room and a full kitchen. There is a large deck, a BBQ area and a picnic table. Cedar 1 sleeps eight comfortably. One bedroom has a double bed and a single bunk while the other three rooms each have two single beds. There are two berths on the dock allocated to this cabin. 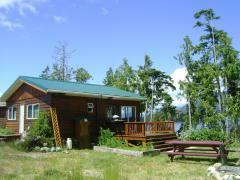 High season rate (mid July - Labour Day) is $400/night. We are open all year! Fir 2 overlooks Esperanza Inlet towards Garden Point. The BBQ area and deck lead to a small yard with fruit trees, a picnic table and the entrance to our east boarder wilderness trail. Fir 2 sleeps four very comfortably. One bedroom has a double bed and a single bed and the other bedroom has two single beds. There is one bathroom. The full kitchen, living/dining room is heated with a wood stove and is a perfect place to socialize or hide away with a book! There is one berth at the dock allocated to this cabin. 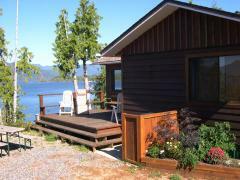 High season rates (mid July - Labour Day) are $250/night. 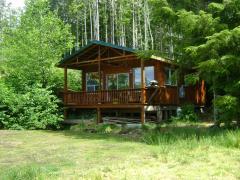 Cypress is a beautiful cabin trimmed in yellow cedar from our property. The deck is completely covered and overlooks Esperanza Inlet. Cypress sleeps four comfortably with two bedrooms, each with two single beds. There is one bathroom. The living room/dining room is a cozy space with a central wood stove. The kitchen is fully equipped and has an amazing view. There is one berth on the dock allocated to this cabin. 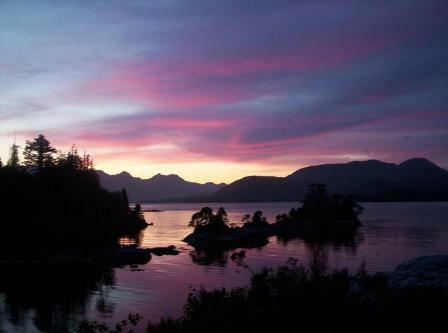 High season rates (mid July - Labour Day) are $250/night. Open all year! Please contact us for low-season bookings. Yew overlooks Esperanza Inlet and our cove. It has a large yard, picnic and BBQ areas and a beautiful deck. Yew sleeps eight comfortably. There are four bedrooms. The two upstairs rooms have a double bed and a single bed each and the two downstairs rooms have two single beds each. There is also a child's loft with a single bunk. There is one bathroom. The dining room and living room look out over Flynn's Cove itself while the kitchen looks towards Esperanza Inlet. There are two berths at the dock allocated for this cabin. 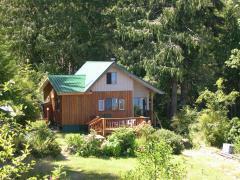 High season rates (mid July - Labour Day) are $400/night.